The t-shirt is actually a Garanimals size 4T that I bought for just under $4 at Wal-Mart and then embellished with a faux Peter Pan Collar. What you’ll need to replicate this top is a the Peter Pan Collar Pattern, a Garanimals shirt, fabric for the faux collars, and mini pom pom trim. 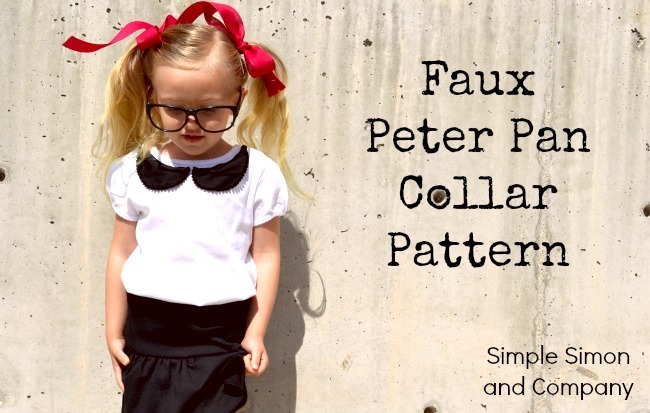 To get the Faux Peter Pan Collar Pattern click HERE. Once you have the pattern, cut two of them out (one for each side) using the fabric of your choice. 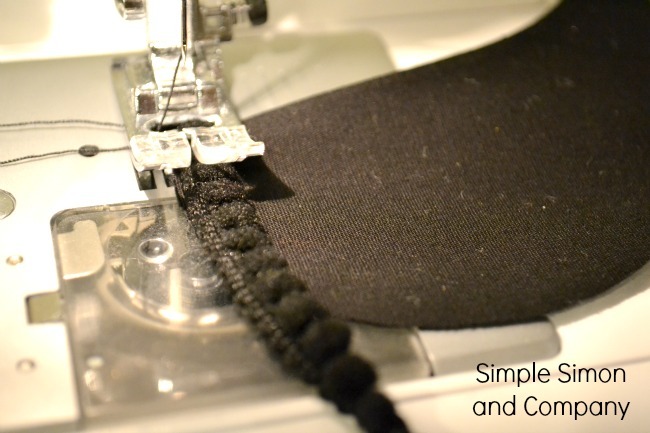 Next sew a line a scant fourth inch away from the top edge of both of your collar pieces. Then fold that edge (wrong sides together) and iron flat. 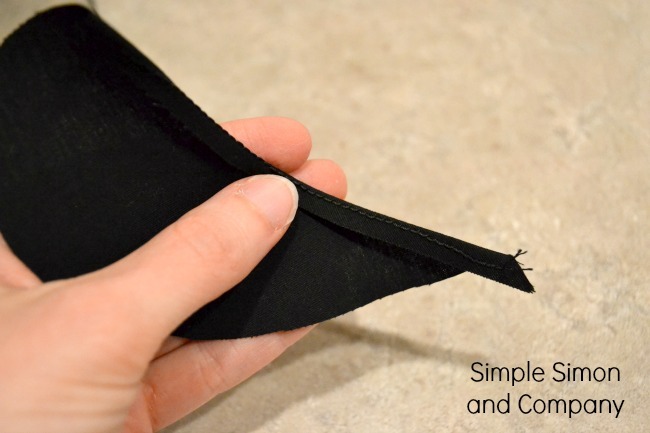 Now take your collar pieces and sew the mini pom pom trim to the edge of the right sides of your collars (as shown in the photo below) all along the entire bottom edges. Next you are going to fold the trim over from the front side to the back (hiding the top of the trim and making the pom poms look like they are popping out from underneath the collar) and iron flat. 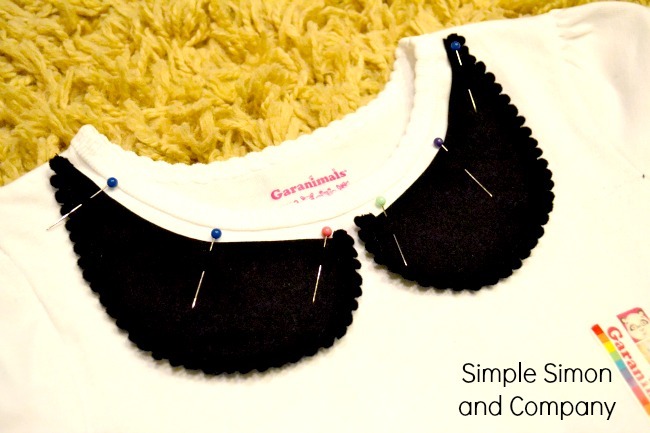 Now pin your collar pieces onto your shirt. 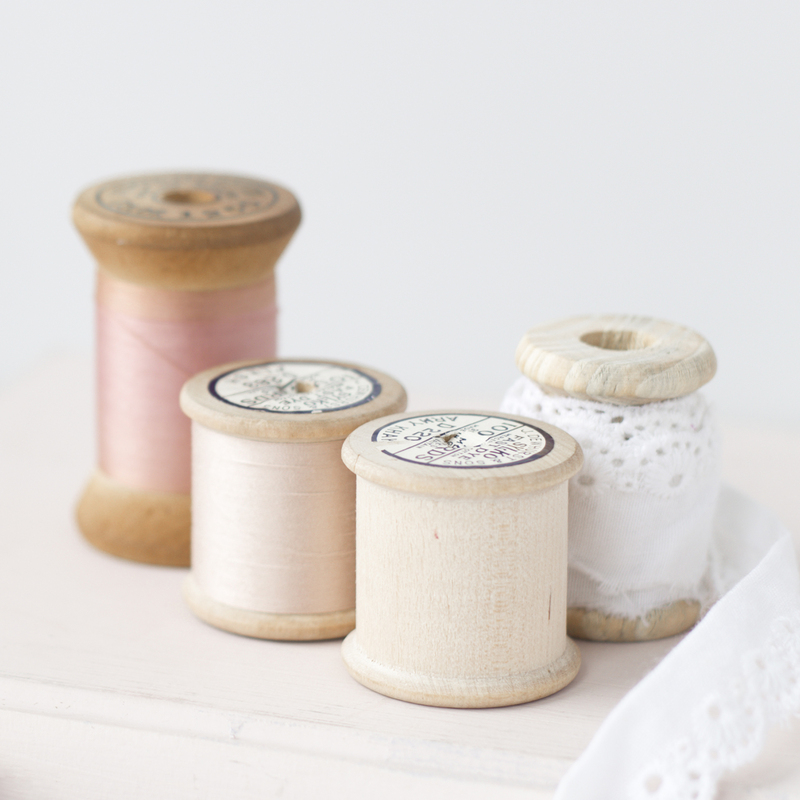 And finally top stitch around the entire edge of both pieces of your collar. This is another shirt that we’ve had done for several weeks now and it has already gotten use so I can report that it also washes and wears like a champ. Hope you have a great day….today is “No Sock Day”…soooo…enjoy. This is such a clever way to spice up a boring t-shirt. Perfect! like you have done for other look books. It’s always fun to see them at one time together. thanks..I know Gracie must love everything! I was thinking about doing that! I have one more look to share and then it would be fun to do a round up with all of them together since both mine and Elizabeth’s Lookbooks have been all spread out this time. Oh my! This is so cute! I think I am going to make one for myself… 🙂 Thanks for sharing!